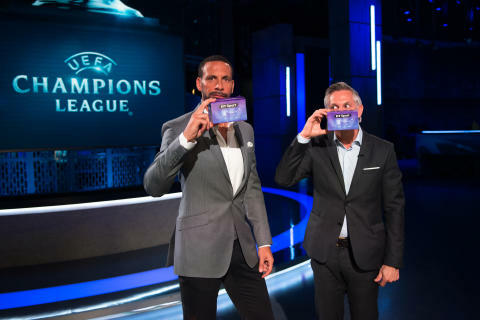 BT Sport is giving away free Virtual Reality (VR) Google Cardboard headsets to football fans ahead of the UEFA Champions League final which will be available in 360° VR on Saturday, 3 June. For the first time ever the UEFA Champions League final will be available through a number of 360°streams via YouTube and also in a new BT Sport Virtual Reality App which allows viewers to choose between a 360° produced programme with commentary and graphics, or select their own camera viewpoint* and all for free. BT Sport is filming the game using 360° cameras, allowing viewers to watch the game as if they were pitch-side or sitting in the crowd watching the two European giants Real Madrid and Juventus battle it out in Cardiff. Football fans can register to get the free Google Cardboard from the BT Shop online from today or from EE stores throughout the UK from Tuesday, 23rd May. BT will also be giving them away at London Waterloo, London Liverpool Street and Birmingham New Street stations on Friday 2nd June, and also from the BT Sport stand in the UEFA Champions Village in Cardiff Bay across the weekend of the final. BT is once again making this season’s UEFA Champions League available in as many ways and to as many people as possible for free; Freeview on BT Sport Showcase HD, BT TV, Virgin Media, Sky, live on BT Sport’s YouTube channel at www.youtube.com/btsport; www.bt.com and the BT Sport App, which provides extra statistics, angles and exclusive content. The UEFA Champions League final can also be enjoyed this year using the latest broadcast technology, giving viewers the best pictures and the best sound experience available, with the game available for the first time in 4K UHD on YouTube* and 4K UHD with Dolby Atmos sound on BT TV. People wanting to order a headset they can either visit the BT Shop, enter their details on www.btsport.com/vr and BT will post it out for free (order before Tuesday 30th May) or visit an EE shop and request a headset up to the day of the game and while stocks last. The game can be watched in 360 Virtual Reality without a headset, viewers just need to download the new BT Sport VR app from their app store.